سیستم ها خنک کننده مبتنی بر اینورتر نسل جدید سیستم های خنک کننده مخصوص مراکز حساس می باشند که هدف اصلی در طراحی آنها کارکرد مداوم و افزایش ضریب بهره وری سیستم بوده است. با ااستفاده از تکتولوژی به کار گرفته شده در ابن محصول هر سیستم می تواند در ظرفیت بین 35 تا 120 درصد توان نامی خود کار کند . NEXT EVO INV air conditioners form a range of machines featuring advanced hi-tech characteristics, designed for a variety of applications, subject to strict requirements in terms of control of internal environmental conditions, continuos operation, reliability and energy saving. EDP centres, telephone exchanges, ups rooms, transformer room etc. Control towers, control rooms and switchrooms, libraries, museums, controlled contamination rooms. Rooms characterized by high sensible thermal loads and negligible or absent latent loads, TV and photographic studios, specialist therapeutic treatment or analysis centres in the healthcare sector. Particular buildings in the commercial sector, such as shopping centres, post offices, bank branches, show rooms etc. The compressor driven by an inverter varies the load continuosly and the regulation of the refrigerant circuit can be easily adapted to the operating conditions required. The working range of NEXT EVO INV varies on average from 35% to 120%. The machines are suitable for indoor installation only. The constructive solutions and the internal lay-out allow high application flexibility and the frontal access to the main components for the inspection and routine maintenance. 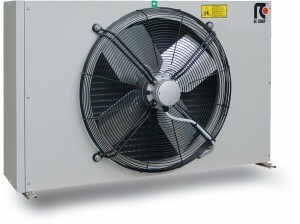 Machines supply fully assembled with refrigerant charge and control systems. 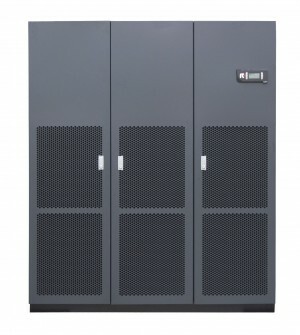 The installation requires electrical and hydraulic /refrigerant connections only allowing high costs and time reduction. Final assembly on all machines before shipment including running test, reading and monitoring of operating parameters, alarms simulation and visual check. Frontal air suction and upflow air delivery. Air suction from the top and downflow air delivery. Design, assembly and test as per the Company Quality Assurance program in full compliance with ISO 9001:2008. RC Group has been the first Italian company in its segment to get the ISO 9001 in October 13th, 1991 with certificate ICIM 0018. The machines are in full compliance with European Directive 2006/42CE, 2006/95CE, 2004/108CE, 97/23CE and subsequent amendments. - Sizes 007÷028: n°1 BLCD inverter driven compressor. Base in aluminum extrusion, painted with epoxy powders. Frame in galvanized steel sheet. Galvanized steel sheet panels painted with epoxy powders, internally insulated with noise absorption material and seals to ensure air tight with the panels. Hinged front panels with quick release removal system. Total front access for routine maintenance. Removable lateral and back side panels. SCROLL “BLDC” compressor type with spiral profile optimized for R410A refrigerant. Synchronous brushless inverter driven motor. Inverter for modulating capacity control. Reactance for the reduction of electromagnetic noise and interference. SCROLL hermetic compressors with spiral profile optimized for R410A refrigerant. Washable air filters with G4 efficiency, with cells in synthetic fibre and metallic frame (EN 779-2002). Heat exchanger coil with internally corrugated copper tubes and high efficiency aluminium fins, specifically developed to provide high heat transfer and lower pressure drops. Condensate tray in peraluman with PVC flexible discharge pipe. Centrifugal fans with backward curved blades with wing profile, single suction and without scroll housings (Plug-fans), directly coupled to external rotor electric motor. - Brushless type synchronous EC motor with integrated electronic commutated system and continuous variation of the rotation speed. The motor rotation control is obtained with the EC system (Electronic Commutation) that manage the motor according to the signal coming from the microprocessor control. Temperature sensors on air intake and air delivery with control, regulation and limitation functions. Valves on gas delivery and liquid return for coupling to remote air cooled condenser. 0÷10V proportional signal to manage the condensing control system of the remote air cooled condenser. Oil separator on gas discharge. Contactors for each load. The inverter driven compressors and the EC fans don’t require contactors. Predisposition for connectivity board housing ( RCcom MBUS/JBUS, LON, BACnet for Ethernet (SNMP- TCP/IP), BACnet for MS/TP). Non-volatile “Flash” memory for data storage in case of power supply faulty and for alarms status recording (2MB).